MAMAMOO have announced their upcoming solo concert with a fun poster! 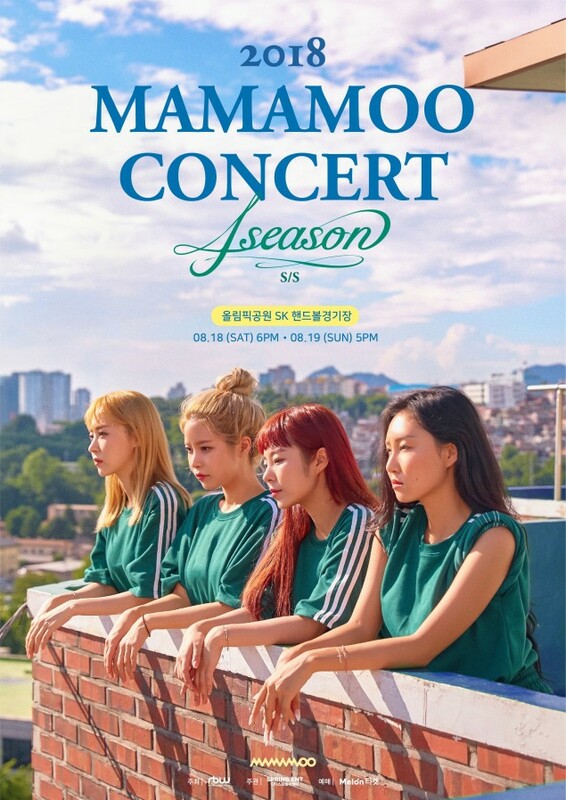 The girls will have '2018 MAMAMOO Concert: 4 season S/S' in August. They'll be at the Olympic Handball Arena on August 18 at 6 PM KST and on August 19 at 5 PM KST. MAMAMOO decided to bring their own fun, unique characteristics for the poster. They're dressed in tracksuits, Solar has her hair up in a tight bun, and Hwa Sa isn't sporting her characteristic heavy liner look. The girls look ready to run, and that may be an accurate description for their exciting concert.